His Excellency the President of Umm Al-Qura University, Prof. Abdullah bin Omar Bafail, launched the Strategic Planning Unit Twitter account at King Faisal Hall in the presence of his Excellency the Vice President for Development and Entrepreneurship, Dr. Hani Ghazi, the vice presidents, and college deans. 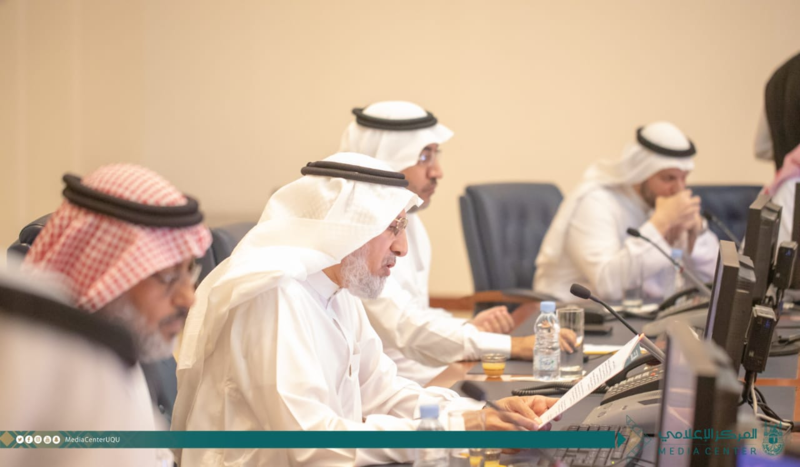 Dr. Ghazi pointed out that this account will contribute to spreading the activities of the university's strategic plan (Tamkeen 2023), which includes the goals, vision, and future mission of the university. Launching this account falls within the strategies of activating the Tamkeen media planning that aims to give beneficiaries from inside and outside the university a chance to participate. He added that the plan is comprehensive and covers all aspects and items with regard to goals and initiatives that serve public, private, and non-profit sectors. 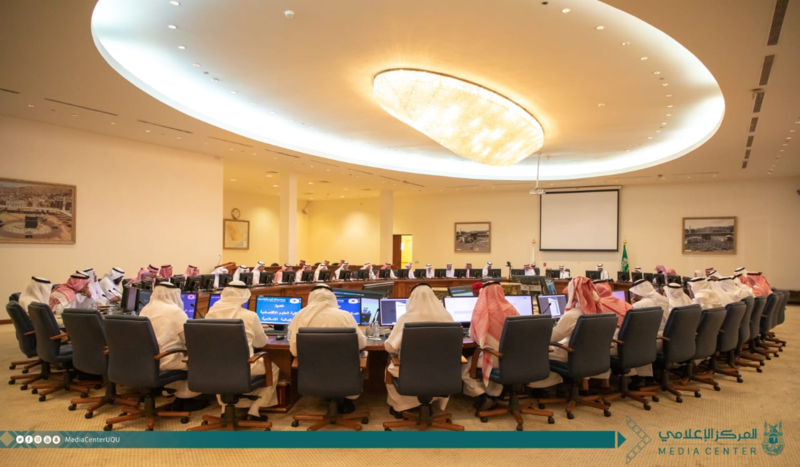 The plan also targets academic staff at the university with regard to publishing their scientific papers in influential international journals with high impact factors. 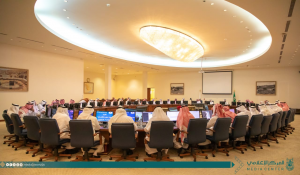 He also stated that the plan aims at enabling students at the university to participate in decision-making and making complete use of university resources, enabling employees to continuously develop and improve themselves, and enabling the university to invest its resources in the optimal way and increase its community responsibilities. He pointed out that the plan is in its second stage, which includes several workshops, interviews, survey distribution, and analysis of the internal and external environment of the university. This account will also be a platform to publish the news of the plan and a way of interaction among beneficiaries. Finally, he praised the support of his Excellency the President of the University for the planning team in its different stages.